55 Commercial Real Estate & Properties in Tamworth are listed in 6 categories. We have 20 OfficesLease , 17 Retail ShopsLease , 7 Industrial Warehouses Lease , 5 Commercial FarmsLease , 5 Other Commercial PropertiesLease and 1 Development LandsLease . Prime Industrial Leasehold! $45,000 + GST + Outgoings.. 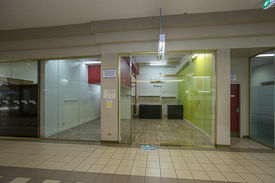 Located in "The Atrium" Shopping Centre in the centre of Tamworth's CBD and on the main bus route. sqm gross leasable area (GLA). With showroom and a separate office/storeroom. Hosting both National and Local Businesses. Main thoroughfare between Peel Street and Kable Avenue. Fully Air Conditioned and sink. Located at the Kable Avnue end of the centre. Located in the "The Atrium" Shopping Centre in the centre of Tamworth's CBD and on the main bus route. 46.70 sqm gross leasable area (GLA). With Showroom and a store room. Hosting both National and Local Businesses. Main thoroughfare between Peel Street and Kable Avenue. Fully Air Conditioned and sink. Situated opposite the newly developed Woolworths & Dan Murphy's Eastpoint super store and supported by an on site childcare centre and cafe, this architecturally designed, 3 storey building offers over 2,550 sqm of lettable area, of which 78% is already leased. With only 3 vacancies remaining, there is limited opportunity to join Tamworth's leading healthcare professionals in Tamworth's only medical super centre! Each tenancy comes with staff car parking plus an abundance of customer parking both on site and in the immediate area. Consulting rooms available for healthcare professionals and would be ideal for dental, audio, optometry, specialist doctors or other allied healthcare professionals. However, the site would also suit professional services firms such as accountants, lawyers etc.,particularly the top floor that offers uninterrupted views of the CBD of Tamworth and beyond. 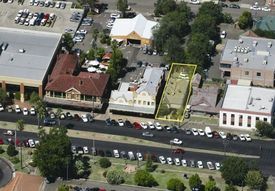 An opportunity to have an approximate 1,200m2 1,400m2 purpose built Commercial Premises in the very tightly held Tamworth CBD. Sharing the site with Australia's premier retailer Westfarmers Group owned OfficeWorks a prime location. 1,200m2 gross lettable area; Site area 5,830m2; 72 onsite carparks Fit out packages available. Located on busy Marius St (New England Highway) this attractive building would be ideal for any business use offering high ceilings throughout, ground and first floor space with separate entrances, good Kitchen/ lunch room, internal and external toilets plus shower, on site parking, often sought rarely available. If you like the charm of the old homes with high ceilings and large rooms then consider what this one has to offer – Close to CBD Various size rooms available Available for immediate occupancy Call for an inspection today. Rarely does such a prominent space come up for lease on a corner offering – Four shops lettable as a whole or part thereof Ground and first floor space 224 m2 Wide frontage to Peel Street Own amenities Walk to all services If you want to be noticed then enquire today. Commercial / Retail Shop $28,500.00 + Outgoings + .. Looking for an affordable shop in the CBD , if so this one Is ready for immediate occupancy offering – Open plan fully carpeted Rear store room / kitchen with sink Good amenities Airconditioned One of a group of shops in a rapidly expanding activity area. Great location but affordable . With street profile and easy parking. Shop front with offices above. Located on a prominent corner on the New England Highway (Goonoo Goonoo Rd) offering Established restaurant trade Suitable for alternate types of restaurants Complete with full kitchen , cool room , fridges , tables and chairs On site rear parking 207m2 of lettable area plus residence. First time offered for many years , walk straight in and trade. They do not come much better than this either in construction or location offering 540m2 of lettable area, clear span tilt up slab construction, good kitchen/amenities, high roller door access, insulated ceiling. Located on one of the best industrial Streets in Tamworth, Dampier Street the site offers huge traffic flow and exposure. Lessor will extend to requirements if required. Located on the corner of Gunnedah Rd and Bass St, this site offers excellent exposure and onsite parking. Complete with show room, warehouse and mezzanine area, it is ideal for any Industrial use. 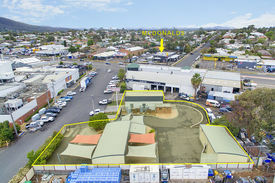 Located in the heart of Tamworth's Industrial precinct. This Industrial Bay offers 396m2 clear span, shop front access, toilet facilities, three phase power and a fully sealed site. Offering 116 m2 of quality office area with brand new carpet it has – • Separate reception area • Interview room • Open plan work area • Separate office plus meeting room • Good kitchen • Undercover parking • Fully airconditioned.